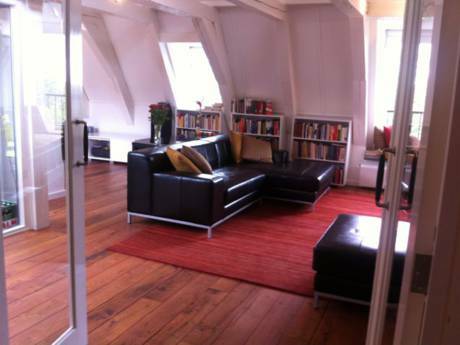 Our ground-floor apartment of 60 m2 is located on a quiet canal. It has 2 bedrooms but can sleep 5 people. It was totally renovated earlier this year. There is also a garden. One bedroom has a double bed; the other has a single bed. In the living room is a very comfortable sleeper bed for 2 persons. We have wi-fi broadband; 108cm TV with many foreign stations; DVD player (with more than 150 movies) and tons of English-language books. 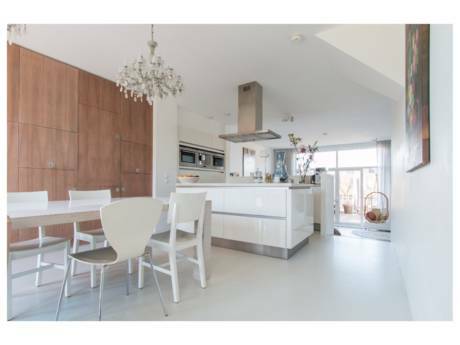 The kitchen is equipped with refrigerator; stove; oven and dishwasher. In the bathroom with shower you will find a washing machine and separate clothes dryer. In short, you will find a very modern and clean apartment with everything you'll need to guarantee a very pleasant and comfortable stay. 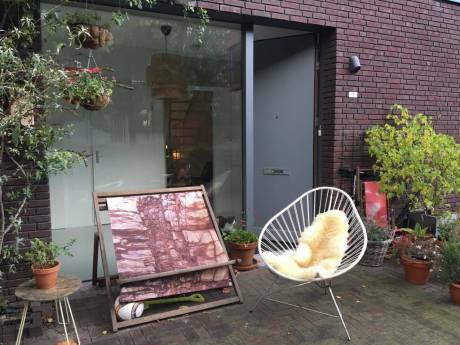 Although our apartment is located on a very quiet one-way street on a canal, a 3-minute walk puts you right in the middle of the historic Jordaan district with many homes from the 16th century. This area is full of restaurants, quaint pubs, galleries, shops as well as 2 supermarkets. The Anne Frank house is less than a 10 minute walk. Public transportation takes you in less than 15 minutes to the Rijksmuseum, Van Gogh museum, Concertgebouw and much more. In front of our house you can rent a motor boat to tour the famous canals by yourself. You can also use our bikes which is perhaps the best way to explore the city.